New U.S. Census numbers released Thursday show that Puerto Rico’s population is dropping as the U.S. territory struggles to retain people during an economic recession, the Associated Press reports. The island’s total population fell from about 3.7 million in 2010 to 3.6 million in 2013, with the biggest drops occurring in the capital of San Juan and across the island’s western and southern regions. The U.S. Census Bureau said 68 of Puerto Rico’s 78 municipalities saw a decline, with at least seven municipalities reporting a population drop of 5 percent or more. Among them is the town of Guanica, a popular tourist destination nestled in Puerto Rico’s southwest coast. Seda said he believes people are tempted in part by newspaper advertisements published every Sunday that announce the need for teachers, nurses and other professionals in the U.S. mainland. Government officials have said that more than 450,000 people have left the island in the past decade, with the majority settling in U.S. states including New York, Florida and Pennsylvania. Many are seeking jobs, better salaries and a more affordable lifestyle at a time when Puerto Rico struggles with a 15.2 percent unemployment rate, higher than any U.S. state. A recent exposition at Puerto Rico’s main convention center drew thousands of Puerto Ricans seeking help with plans or questions about a possible move to Florida. The exodus of people has reduced tax revenues, caused several schools to close and led to a spike in the age of the population, with the number of people 65 years and older increasing by 28 percent from 2000 to 2012. In addition, 2011 marked the first time in recorded history that Puerto Rico’s population was older than the U.S.’s as a whole, according to Puerto Rico’s Institute of Statistics. It’s one thing to claim that 450,000 have left over the last decade, it’s another to have the hard data. The Puerto Rico Institute of Statistics provides the only reliable sum we have: 190,000 left between 2000 and 2010. The Wall Street Journal has pumped up that figure (perhaps due to their own speculative involvements) to 288,000, despite alleging that their source is the PRIS. If you can’t back this up with anything reliable aside from hearsay then it’s nothing short of alarmism. Two points: I wonder how3 big is this decline compared to the one that happened in the 1940’s also brought by economic changes and unemployment. 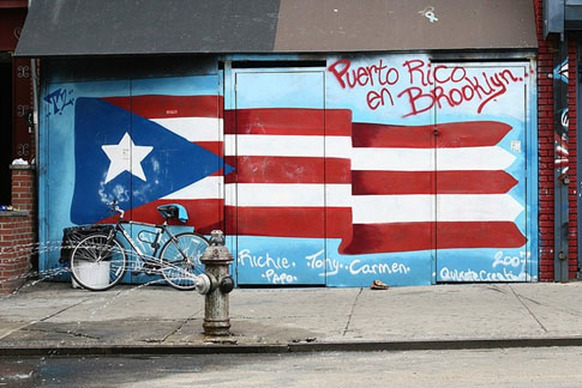 Second, would love for some outlet to talk to the Puerto Ricans that are coming back. I am one of them and meet many others in the streets that have come back after been in abroad for years. We are happy to be back, love the culture and are productive!